At this stage, there's no need to tell you what online music streaming is all about. 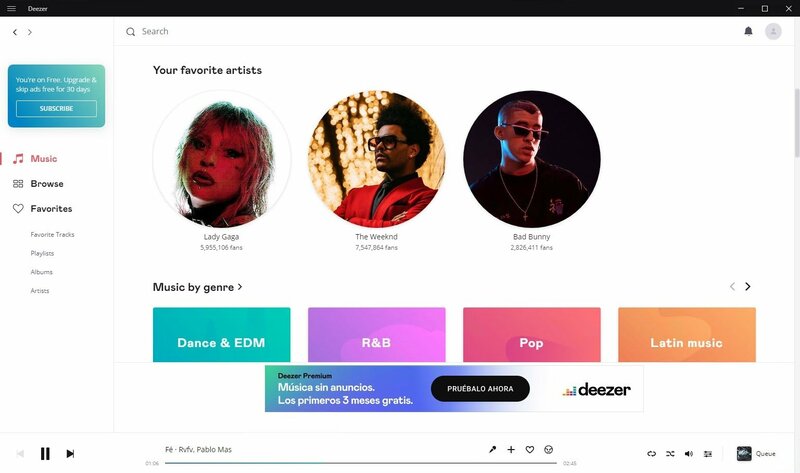 You only have to say the word Spotify for everyone to know what you're talking about. The truth is that if MP3 killed physical music formats, streaming is killing the MP3. The Swedish service is the most popular one, but by pouring in plenty of money and the huge company behind it, Apple Music is also making itself a name. 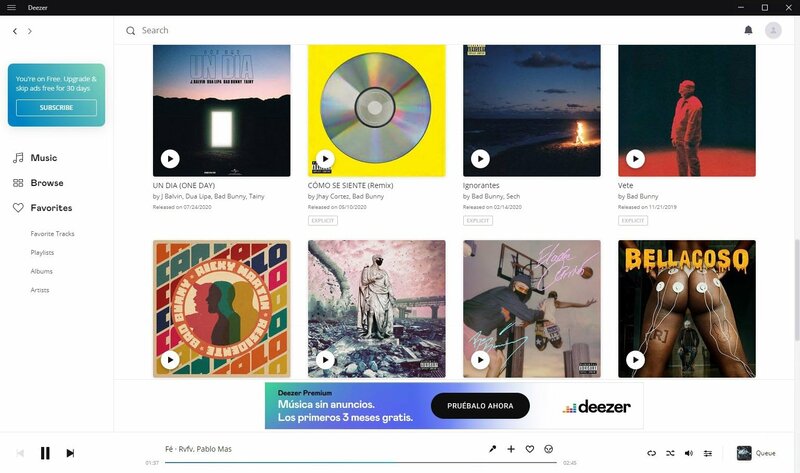 But we can't forget about Google Play Music, Rdio, Pandora or TIDAL, as well as an old alternative of the likes of Deezer Music. If you download it and sign up on the Windows PC version as a user, you can synchronize your account with other devices, whether you downloaded the Android APK or the version for iPhone. 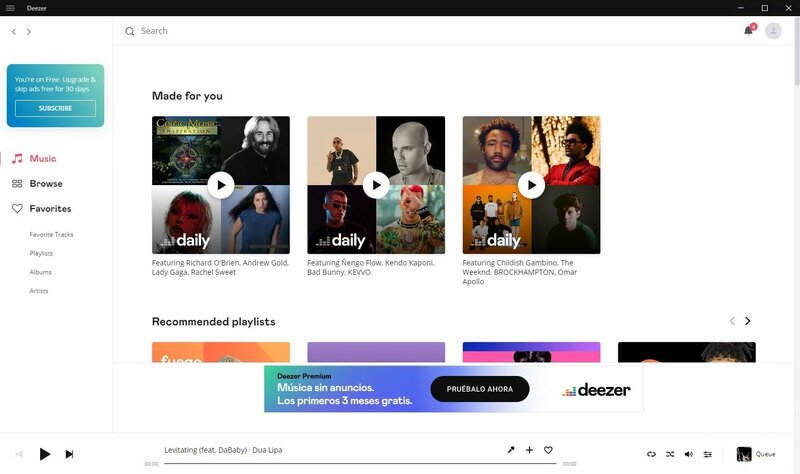 The latter offers a service that's similar to that of its rivals: millions of songs online, possibility to download them to your device to listen to them offline, free access with adverts, premium access without adverts... It's a decent application that meets your musical needs. A legal and fast music service with great sound quality. 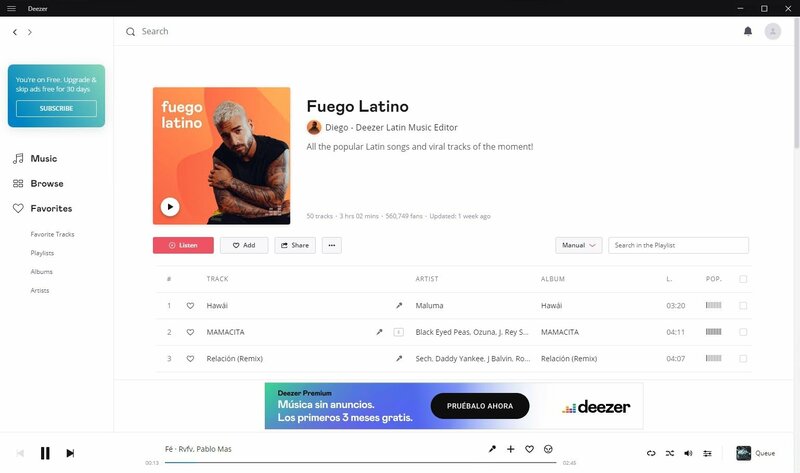 Catalog with over 40 million songs. Customized library where you can manage your playlists, follow your favorite bands and musicians or import MP3s from your library. Music synchronization depending on the time of the day. Flow function that customizes the playback of songs. 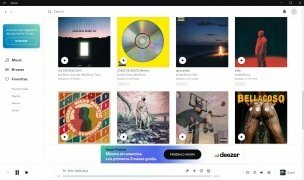 Recommendations based on your music tastes and adjusted according to an algorithm a team of 50 music curators. Which one's better? 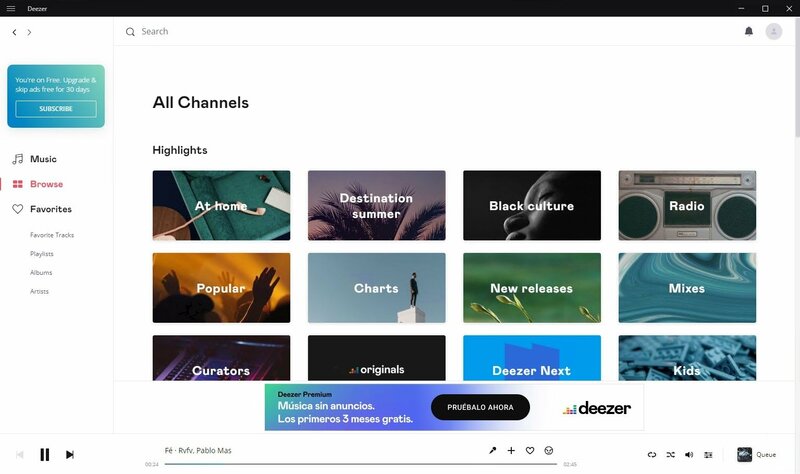 Deezer or Spotify? That's a good question. Well, all in all, you'll find all the same stuff in both apps, with very subtle differences. 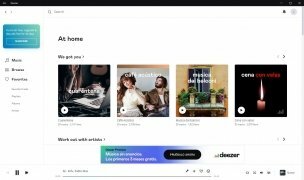 For instance, Deezer's Flow function to obtain a much more customized experience or the possibility to adjust the music to the time of the day, are things that the Swedes don't offer us. In terms of price, both services offer us exactly the same, although we have to admit that Spotify's PlayStation support is unbeatable. 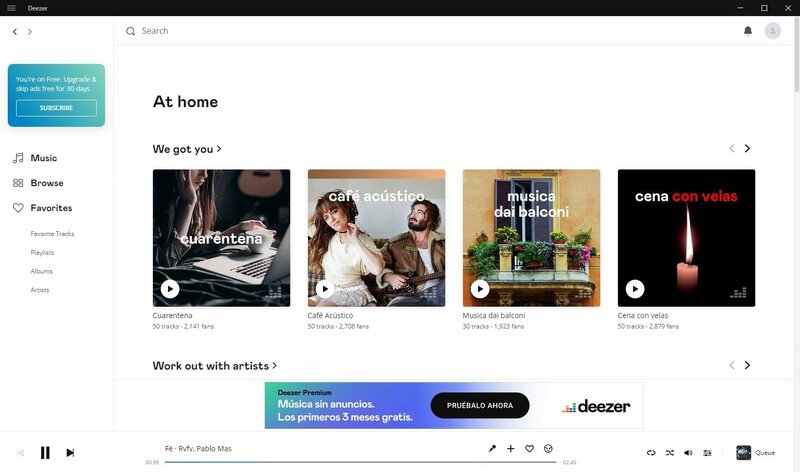 Can I download songs from Deezer? Another good question. Well, if you want to download its songs in MP3 format to transfer them to other devices, the answer is no, you can't. However, you can download music to listen to it offline if you're a Premium user. Just like with Spotify or Apple Music, there's no such thing as a Deezer Downloader or anything similar to make illegal copies of its music. Or did you expect them to allow such a thing that would ruin their business?